Explore The Pros And Cons Of Leo Relationship!  What a firework of emotions will a Leo-Lion relationship be! How spectacular, how passionate,… and how unstable! Each of you craves attention, and neither is used to giving the spotlight gained by right of birth to anyone else, even you significant other. In order to keep your relationship, make a conscious effort to share. You need to stop hogging the blanket - your Leo partner deserves it no less than you do. Learn to make space for each other. Help each other feel special and curb your passion if you feel it is about to overflow and make you say something you’ll immediately - and deeply - regret.